And yes, it is sheer perfection. Soundcloud user FLIPSHOT sampled Jeff Goldblum's ridiculous laugh from the helicopter scene at the beginning of Jurassic Park and turned it into "Hahahrawrrahaha," a 188-second breakbeat tribute to the randy, snarl-like noises that have been known to pour out of Goldblum's mouth. 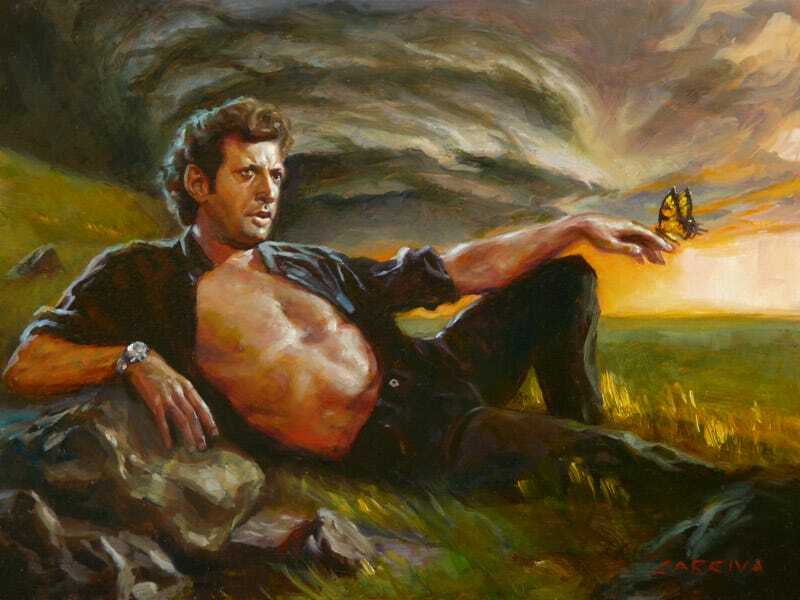 Goldblum May not be appearing in Jurassic World, but this should assuage your disappointment. Easily our favorite treatment of the Goldblum guffaw since this little masterpiece.